In his rant on Monday, The Cycle co-host Toure took on the right wings obsession with keeping a racial scorecard since the Trayvon Martin trial, most recently around the heinous murder of Australian baseball player Chris Lane. So you have to be a homosexual to get a news show these days? And maybe they went after Traydmark in court because he was trying to murder Mr. Zimmerman, something Australian athlete Chris Lane and World War II hero Delbert Belton apparently weren't doing to their killers. So you have to be a homosexual to get a news show these days? Really, how many of the newsreaders on the networks do you think are straight? I like scorecards. But how about the scorecard for the number of handful of viewers who actually watch this “security camera on a mental asylum” called MSNBC? Why not? Al Sharpton and his ilk expect whites to atone for what happened 150 years ago. We are all George Zimmerman. We have to be so long as the DNC wages a race war. The ignorant watch and work at NBC. 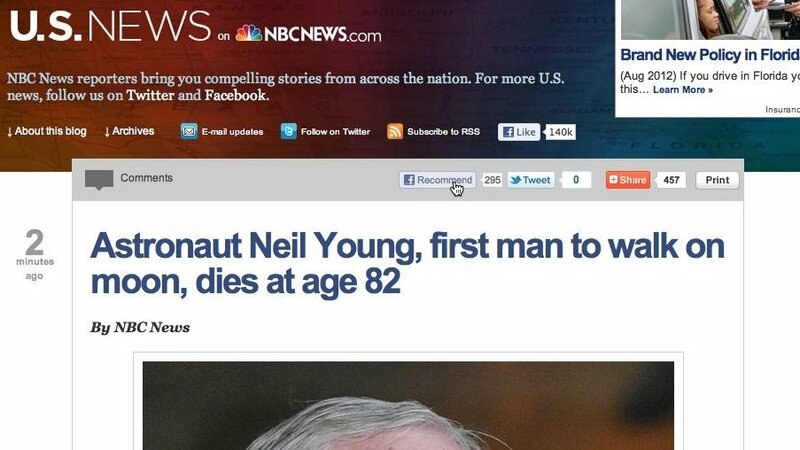 To the staff at NBC : Niel Young's an astronaut and Gov George Wallace a Republican. In a few years NBC will report Lincoln was a democrat. Innovation these days is mixing candy and ice-tea into a drug and using a screw driver to break into homes. Poor widdle babies. It’s just not FAIR to report black-on-white murders! Drank drinkers are not innovators. Anything but. They are incapable of thinking. This from a guy who also keeps a racial scorecard. The hypocrisy of these leftist hacks knows no bounds. I remind my children of this at every opportunity; our local news presents many opportunities (living next to Newark NJ). Trayvon was no “inovator”, he was a wannabe tough guy who is now a dead street thug. To this POS, a racial scorecard means even MENTIONING all of the black on white crime occurring. Like the 99 yo woman murdered in NY, or the 97 yo woman raped in IN, both by blacks. Yeah, I think we need a scorecard to keep up with this crap.....maybe a whole bunch of them. "As if they're all the same", he's right, they're not. No_Limit_Nigga, was the perp, not the victim, but Chris Lane and Shorty were innocent victims. Street thugs with no parental supervision, with gangsta rappers as role models, with dank and lean as their drink of choice, used to stay in the hood and kill blacks, but have now come out of the hood in critical mass. I even carry when I walk the dog in my own neighborhood, where we have several black working families and no gangstas. The families have both a known mother and known father and both parents live together... you know, a real family structure. I see their kids, clean and polite, getting on the school bus every day and the boys have belts that keep their pants up around their waist. This is a middle class neighborhood, doctors, contractors, sales folks, even a couple of skanky lawyers, and we have never had much trouble and never any racial trouble. My decision to carry when I'm walking the dog is simple, the gun ain't that heavy, and I'd hate myself for being accosted while unarmed.